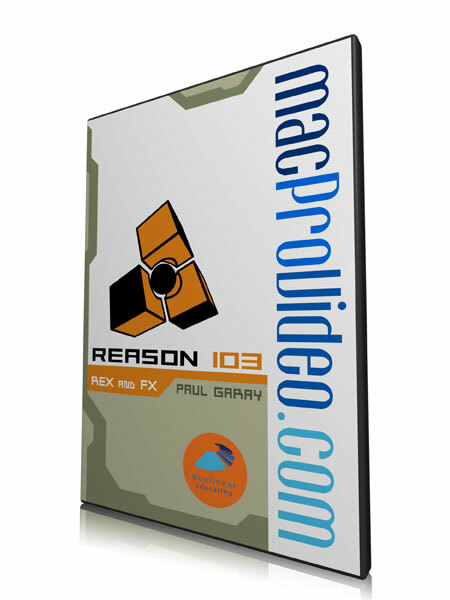 Paul is a master of Propellerhead Reason, with over four years of experience teaching the app. He is also a traveling presenter with Apple, teaching and demoing GarageBand and Logic to audiences across North America. I first met Paul when I was teaching at the Vancouver Film School. 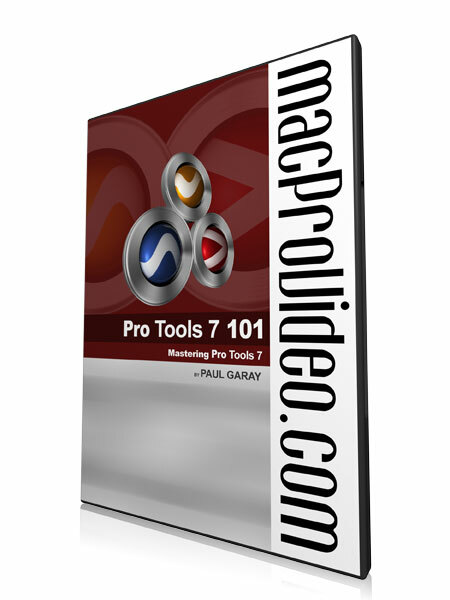 Paul quickly became one of my best friends at the school, and when I started macProVideo.com, he was the first person I asked to contribute training to the site. Knowing his expertise teaching the program, I asked him to do Propellerhead Reason. It took over a year for me to finally convince him to come on board, but he's here now ... and I couldn't be more pleased! Paul is a true musician. He started playing piano at the age of 4, and began performing in bands while attending high school. Shortly after school, he went on to tour professionally with several different recording acts across North America playing keyboards and singing. In 1994, Paul decided to open his own studio and spent the next 6 years focusing on music production and digital audio recording. His production credits include work with a virtual who's who of west coast Canadian recording talent. In 2000, Paul began instructing courses at the Vancouver Film School and was introduced to scoring for visual media. In particular, in 2004, Paul had some of his music appear in the television series �Smallville". 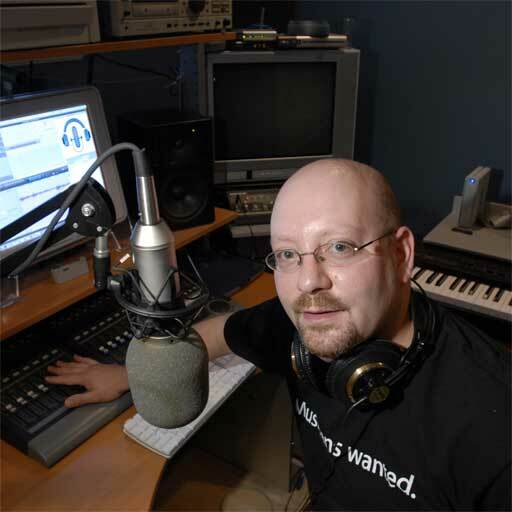 You can also catch Paul at his web site, Inside home Recording, where you can pick up lots of hard won tips and tricks about recording in a typical home project studio. Learn how to make your songs sparkle with this detailed exploration of GarageBand's DSP plugins. 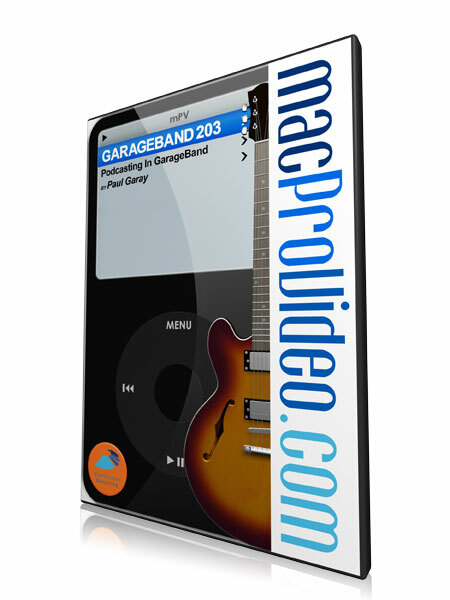 Express your musical vision with the most popular audio editor in the world! Pro Tools has been the industry-standard audio editor since the dawn of desktop recording. 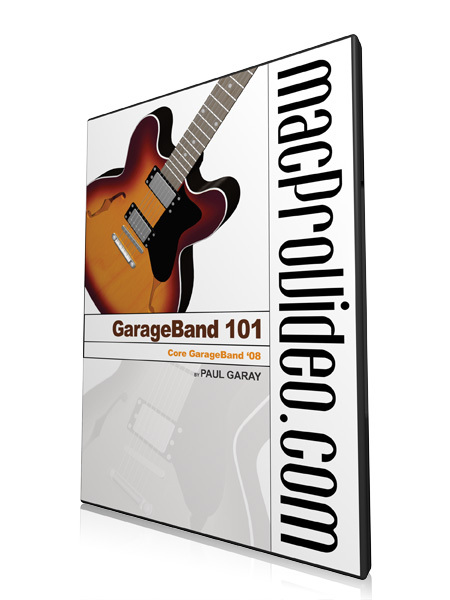 Learn intimate tips and tricks from a pro that's used it since the beginning - Paul Garay! 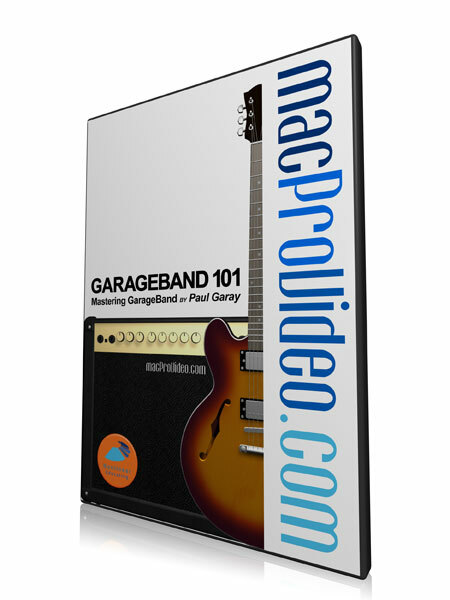 Learn how to record, enhance, and distribute podcasts, using GarageBand! 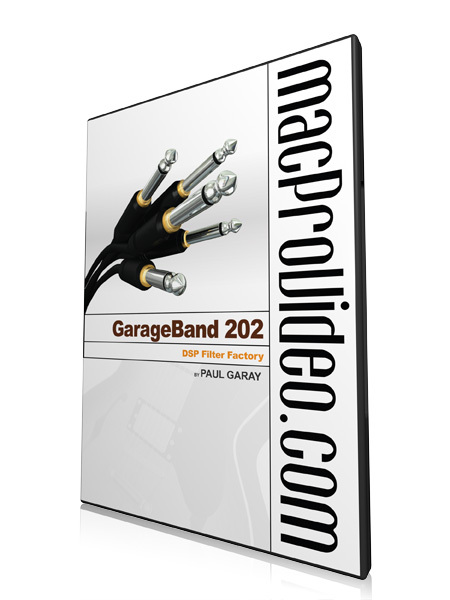 As it is with all the videos I've bought from you, Garageband 203 was very informative and brought me up to speed on using Garageband. These videos are a MUST for anyone wanting to learn how things work. In addition..."the price is right." I love the service. I work long hours with down time built in. It's great to be able to watch a few how-to videos to kill the monotony. I'm sure I'll be back to purchase more content. You might consider expanding your archive to include something like what the "...For Dummies" books offer. The more you simplify tasks that the average joe finds complicated the larger your customer base will grow, I think... For example, some people pay big money to learn the basics of film or music production. You could tap some up and coming experts to provide detailed and simplified explanations and or pointers on the tools of the trade. These could probably be marketed at the very least as foundational info which for many would-be what-evers is all they need. Most of what I know about the Reason Software I taught myself. Your videos are filling in the planks, dotting the "I's" and crossing the "T's". Hope this helps and brings in lots of revenue which in turn might convince you to give free access to all of your content... or not. 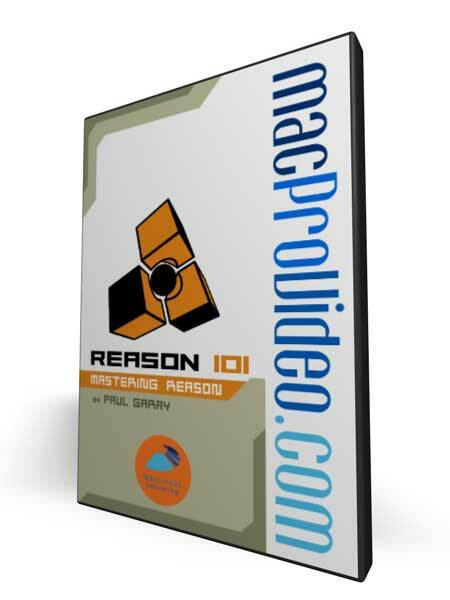 On the whole this is a very good entry level course on Reason 4. I agree with the comment below that an advanced and/or intermediate course is now long overdue. I should like to see a course on Propellerhead Record too, especially as this is something that integrates seamlessly with Reason 4. Excellent as an introductory tutorial. Gave me what I needed from a technical standpoint, as well as hints on the art of editing. A great introduction to Reason, I would like to see an advanced level course now. Thanks. Wonderful introduction to Reason 4 that covers the most important parts. I wish there was some more information here and there (e.g. some deeper infos about Thor... but I hope there will be a dedicated training kit just for that synth! ;-) ) But I understand that you cannot cover everything in an overview. So 5 stars. On the whole I think this tutorial is great! 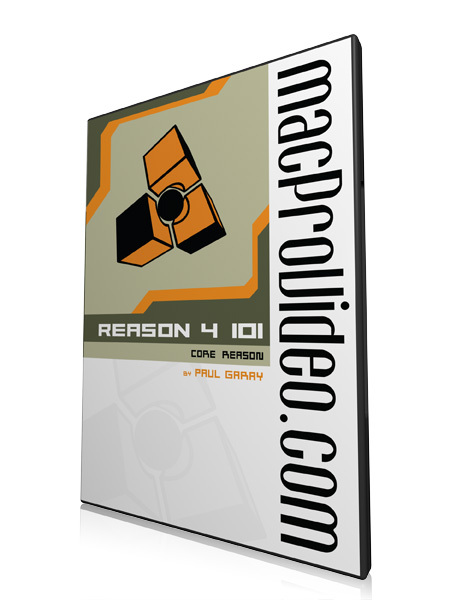 Covers the basics of how to use each element of Reason 4. I was already familiar with Reason, so I just wanted to get some extra tips and some help with a few instruments that I wasn't too familiar with, so I got what I was looking for.